The last time you whistled a tune or hummed a song-why did you choose that one? You may not consider yourself a musical person, but your little act of unintended music may be the key to unlocking within you a wealth of unsuspected creativity-a kind of creativity that goes way beyond music, too. Lane Arye, Ph.D., a musician himself, focuses on the music that people do not intend to make. Using the highly regarded psychological model called Process Work, developed by Arnold Mindell, Ph.D., Arye has been teaching students around the world how to awaken their creativity, using music as the starting point, but including all art forms and ways of expression. The unintentional appears at moments when some hidden part of us, something beyond our usual awareness, suddenly tries to express itself. If we start paying attention to what is trying to happen rather than to what we think should happen, we open the door to self-discovery and creativity. Sometimes what we regard as "mistakes" in self-expression are in fact treasures. 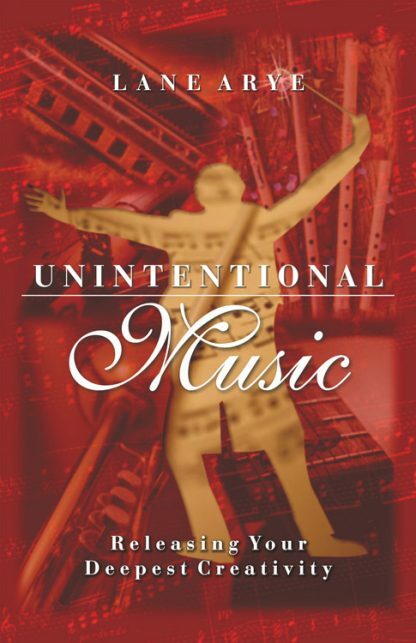 "Exploring the unintentional with curiosity and love can help us tap into the wellsprings of our deepest creativity, and make our music, our art, and, ultimately, our lives more authentic, meaningful, and original." Lane Arye, Ph.D. teaches Process Work, Unintentional Music and Art, and Process Oriented Conflict Resolution throughout the US and around the world. Lane has a private practice in the San Francisco Bay Area, where he lives with his wife, Lecia. In the Balkans, he co-leads a UN funded project that brings together mixed groups of Croats, Serbs and Muslims to work on ethnic tension, reconciliation, community building, and human rights. He developed Unintentional Music, a way of using Process Work with musicians (and non-musicians) as they play or sing to help them transform their music and themselves.